Twitter is an interesting entity. It has single-handedly changed the way I watch and consume sports. In fact I would much rather stay at home and watch a sporting event while being on Twitter than going out to watch them with friends. I couldn’t imagine watching the World Series without seeing tweets from Productive Outs. Bloodstain Lane tweeting text based lava during a combat sporting event is a must — he called Lyoto Machida by crane kick over Randy Couture. Outside of the obvious benefits Twitter brings to the table during sporting events, there is the “Twitter beef” or “Twitter fight” if you will. When I see two high profile fighters in a Twitter fight, I realize how silly it is, it’s two grown men talking nonsense to each other over the internet. I just can’t help myself and I become glued to the situation. 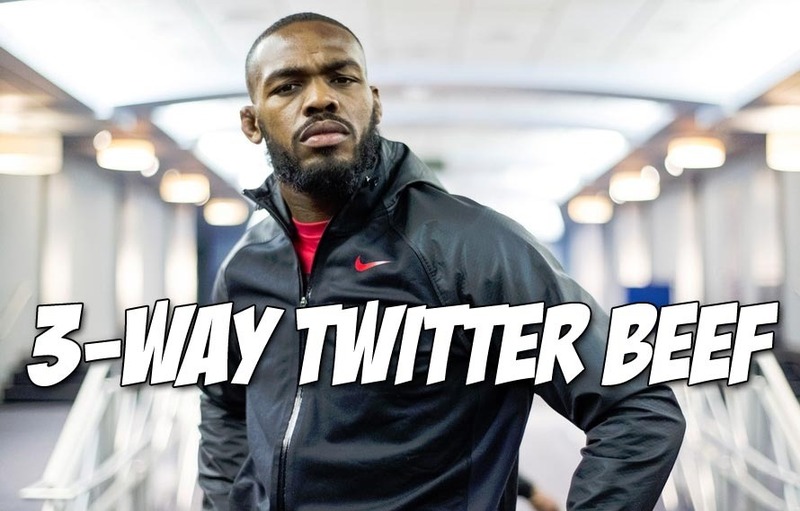 In today’s Twitter beef, we have Ben Askren and Jon Jones. It all started when Jon Jones made a quip about Daniel Cormier and his build. It then led to Ben Askren responding with a few remarks of his own. It looks like the build up for the inevitable DC vs. Jon Jones fight has already begun.